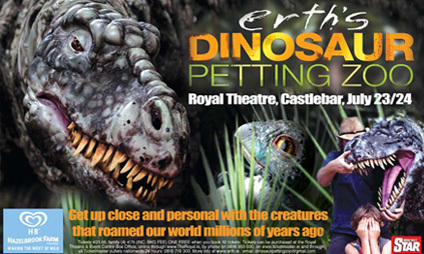 It's a Petting Zoo, but not as you know it and it's coming to the Royal Theatre Castlebar on July 23rd and 24th 2011!!! The eye-popping visual feast that is the Dinosaur Petting Zoo is an extraordinary performance that takes kids and adults on an interactive, prehistoric journey through an incredible cast of Dinosaurs that inhabited our world millions of years ago. Children will get up close and personal with these amazingly life-like creatures during this fun-filled show. Erth's menagerie of ancient beasts is brought to life via various forms of human powered puppetry from the heart-meltingly cute baby Dryosaurs to the awe-inspiring Giant Allosaur. Children of all ages can get hands-on access to the Dinosaurs and may even become a part of this exciting show if one of the Dinosaurs takes a fancy to them! 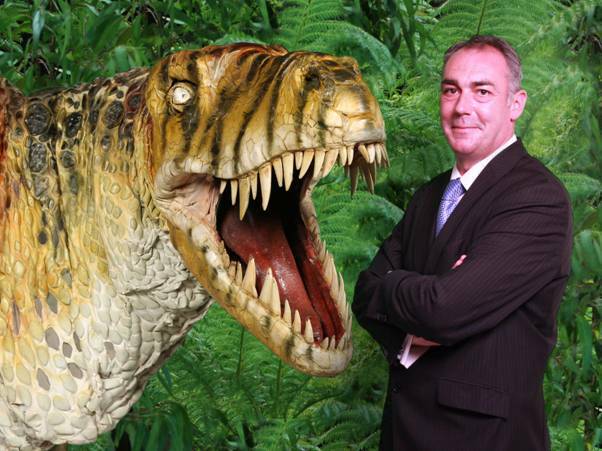 Donnacha Roche Venue & Operations Manager of the Royal Theatre, Castlebar with One of the Dinosaurs. Since their beginnings in the 1990s, Erth's incredible shows are in high demand at events and festivals around the world and Ireland will be the first stop on what will be a major US and European Tour. 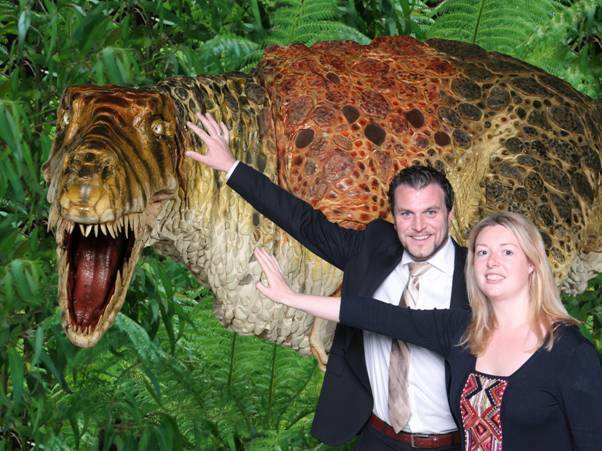 Sean Reid Chairman of Mayo Dublin Association with Mary Horkan of HB Hazelbrook Farm (Event Sponsors) both from Mayo get up close and personal with one of the dinosaurs coming to The Royal Theatre Castlebar on Saturday 23rd and Sunday 24th July as party of Erths Dinosaurs Petting Zoo.